It is often said that the 80s and early 90s kids are arguably the most privileged crop of contemporary TV viewers in Nigeria and the reason may not be farfetched. Colour TV transmission didn’t make its way to the Nigerian scene until the mid-70s and the TV gist only started trending following the active participation and viewership by the 80s and early 90s folks. One of the factors that catalysed this revolution was the art of advertisement – both on radio and television. Little wonder why Nigerian comedians occasionally enjoin their audience to chant the lyrics of old digital ads. Besides, if you randomly conducted a VOX POP in any part of the busiest Nigerian cities and asked members of the audience to recite the lines of radio/TV ads they listened to while growing up, you might have a possible 5 out of 10 individuals singing the same songs. This may equally strike some nostalgic chords in your memory provided you belong to the aforementioned era, but have you actually noticed how there seems to have been a continuum of these ad components till date? It’s quite simple; you get a shot of a group talking or if you will, a panoramic view of a popular suburb, play contemporary music in the background, insert cameos from celebrities, get them to talk, walk, dance and dress in any way you want them to and voila! You have your ad. Alternatively, you could get a popular voice-over artiste to do the job of rendering a narrative in the most dramatic manner while you display all kinds of images and videos along the line. However, some indigenous brands as well as the foreign ones operating in Nigeria appear to have evolved and are currently applying more creativity to the production of ads. By so doing, they are giving a new concept to digital ads thereby transforming it into what it really should be – pure art. On the other hand, radio ads still appear stuck in the vintage era with invariably little or no improvement whatsoever. The well-known brands that have applied and still apply art to radio ads sometimes have the concept lost on Nigerians who are famed for having “no chill”. To put this into perspective, an average radio ad lasts between 30 – 60 seconds, with the exception being special announcements made by the government which has the voiceover artiste talking so fast that you would think gunmen would barge into the recording studio any minute thereon. Hence, an average Nigerian expects to capture the relevant info being disseminated in a radio ad within the opening 20 – 30 seconds unless you are announcing the steps to winning free tickets to attend a popular event. Summarily, the time invested in an artful radio ad preempts its length which in turn falls outside the mental tolerance of an average Nigerian listener who feels there are more important things to be done than listening to sonorous radio ads. However, this is not meant to discourage top brands from making artful radio ads. A good way to start would be to experiment ways by which art could be rendered in a radio ad in about 30 seconds. 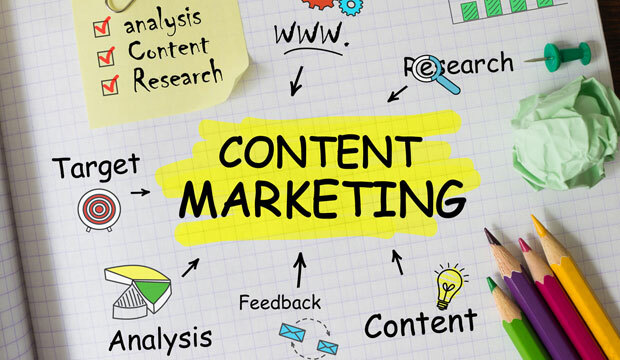 Then you could have your content reviewed by digital marketing consultants and can rest assured a listener who is compelled by the opening seconds of your radio ad will most likely be patient enough to listen till the end regardless its length. No matter how artful or drab your radio ad might be, it could still record full listenership provided your target audience is stuck in a Lagos or Port-Harcout traffic, in which case they would be forced to decide whether your radio ad is fueling or alleviating the pre-existing misery that has been brought upon them by the traffic snarl. For TV ads, it’s an entirely different gist but let me mention some ads which are in my opinion among the best TV ads of all time. Well, maybe not necessarily but they deserve special slots in the hall of fame. First, who in a bid to demonstrate the precision and accuracy of steerings has Jean-Claude Van Damme do the epic split progressively with each leg resting on the side mirror of two moving freight trucks? The answer is Volvo, and did I also mention that they had Enya’s Only Time playing in the background? Of course someone later went overboard by having an animated Chuck Norris re-enact the same feat in a Christmas ad though in this case, moving trucks were substituted for moving airplanes. Anyway, it could only have been Chuck Norris and probably Jet Li. Secondly, the TV ad by Sussex Safer Roads emphasizing the importance of embracing life and always wearing seat belts is purely magical. Here’s a spoiler though: the video could make you cry. Although I am not in any way implying that brands in Nigeria should start churning out ads that bear more emotional appeal, it is only important to produce a compelling video that seamlessly communicates vital information. The models in the Sussex ad did not speak a word but with the help of limited motion graphics and remarkable body language, they delivered what has been adjudged by critics and reviewers as one of the best TV ads of all time. To this end, indigenous and foreign brands operating in Nigeria have a long way to go in order to meet international standards. Simply put; the radio/TV ads climate in Nigeria is largely devoid of art and it speaks a lot of the advertising and digital marketing agencies operating herein. The producers of the MTN TV ad featuring Falz The Bad Guy displaying a sci-fi-themed explainer did a brilliant job of subtly marrying the elements of action with drama, comedy and most importantly, art. And if the concept (not words) depicted in the video eludes you, then it’s safe to assume you only watch ads leisurely and not meticulously, in which case it will be fairly understandable. It is just important for businesses to know that value proposition and brand equity can be bolstered by a simple and yet complex touch of class – the art of ads. Adesegun Damazio, Brands Advisor at Zenera Consulting. In a world that has seen the advent of modern technology amongst other revolutionary innovations, small businesses are doing their best to keep up with the trend. Organisations are jettisoning obsolete business models and fast taking advantage of digitalisation in a bid to tap into the buoyant returns provided by this global goldmine. HEALTHY COMPETITION – Digital marketing avails small and medium businesses of the opportunity to compete in a diverse environment, giving them a fair share of the market previously dominated by the larger corporations. RETURN ON INVESTMENT – A recent survey conducted by Zenera Consulting showed that compared to traditional media, small and medium-scale businesses cited email marketing (newsletters and news alerts) and social media marketing (Facebook, Twitter and Instagram ads) as the two most significant channels with which they market their products and services. These channels also allow them monitor leads and track business growth, which are important factors to be considered in digital marketing. CUSTOMER/TA ENGAGEMENT – According to the same survey carried out by Zenera Consulting, 76% of the respondents (private organisations) revealed they often got feedback from their clients whenever they sent out newsletters and also when they posted content regularly on their social media pages. This method of customer engagement serves to bolster customer satisfaction and business productivity. Also, businesses that maintain a structured digital marketing routine tend to spend less time marketing new services and offers to their target audience based on the existing brand affinity and loyalty. ACCESS TO MOBILE PHONE USERS – According to a second quarter sector report published by the National Bureau of Statistics in June 2016, a total of 92,181,978 GSM subscribers use the Internet through mobile telecommunications networks, constituting about 62% of the overall GSM usage in Nigeria. What this means is that over 90 million Nigerians use their mobile phones on the go and strategic digital marketing would not only pique their interests but also yield profitable returns for businesses. BRAND IMAGE & CREDIBILITY – If you maintain an optimal level of digital marketing, it would go a long way to help build an exemplary image for your brand. Customers are known to respect businesses that regularly deliver on brand promise and this eventually leaves a positive impact on your brand. Consequently, businesses with good reputation potentiate their existing customers and brand ambassadors who would help refer more clients. BRAND RELEVANCE – Adopting the ideal methods on digital media helps businesses maintain relevance for growth and productivity. Through constant use of digital media, organisations can stay abreast of trends and deliver the most modern and qualitative services to their customers. Digital marketing is a simple, yet complex platform with a great deal of lucrative potential and benefits. As such, businesses must take full advantage of this opportunity by contracting foremost digital marketing agencies such as BuzzDigital to ensure they provide the best services and yield huge profits in the process. DO IT WITH THE TRIAD! Branding, Advertising and Public Relations (PR), the ‘three musketeers’ of strategic communications in business, are often taken for granted to mean one and the same thing. This view, often held especially by small-business owners or start-ups, is not the correct approach to adopt if your business or brand is to truly enjoy strong market presence and long-term relevance. It is conceded that the three are aimed at attaining the bottom-lines of sales, increased market share, customer loyalty, brand preference and endearment. All embrace creative communications and harness the power of consumer psychology for audience engagement. However, powerful and strategic differences exist among them and an unwise business decision is the assumption that once one of these is in place, the remaining two are no longer necessary. However, best value for your investment at business positioning is achieved when the three tools are creatively deployed to complement each other in integrative ways and in the right order. The essence of a business revolves around its customers. Hence the need to effectively engage your target audience about what you do. The process starts first with branding which creates a concrete identity of what your organisation is all about and what sets you apart from generics in your industry. To command preference and thrive above competitors on sustained basis, creating a strong brand is not negotiable. The consumer needs to know the unique value that comes with associating with your brand and these need to be properly reflected in your brand positioning. The created brand is the core substance around which subsequent work of advertisement and public relations will then revolve. Advertisement creates continuous awareness about the product, service or company. You need to warm your brand into the consciousness of your consuming public on regular basis to maintain awareness about same. Advertisement ‘oils’ the wheel of continued brand preference and customer loyalty. Chances of competitors ‘swaying’ your audience via aggressive visibility increase when you slack off on advertisement. Yet while branding and advertising are great, solid public reputation management is even more critical in the long-term sustainability of grounds already gained. PR is what deepens the intangible connection between a brand and the consumer. It shapes perception of not only the brand but the organisation behind it. When you have a good brand and positive public perception about the personality behind same, it becomes much easier to retain customer loyalty and continuously win new patronage through unsolicited referrals. Your reputation does ‘’auto-marketing’’ for you and boost your brand equity. The right news, impacts and reviews about your brand need to get out and optimally reach the critical audience, while potentially unpleasant occurrences should be healthily managed. When the public comes to associate your brand consistently with such attributes as quality, professionalism, durability, functionality, environmental health consciousness, integrity and commitment to Corporate Social Responsibility (CSR), you are more likely to have strong brand equity, gain more customers and inspire potential investor confidence. While it may take years to build a formidable brand reputation, it can take a matter of only days to ruin same via poor reputation management, flawed crises handling, slack stakeholder engagement efforts and attraction of bad press. The enduring and greatest brands are built on having time-tested credibility and goodwill from the public. Compared to the value you stand to gain in the long-term and bigger picture, an investment in good PR support for your business remains one of the best decisions for your enterprise sustainability. –Lanre Fashina, Research & Strategic Communications, Zenera Consulting. Reputation is everything-on personal and business levels. Management of brand image is central to the sustainability of a business in the long term and foremost agencies seek to uphold reputations to the highest standards. This article details the basic tools for successful reputation management. Any organisation seeking top class reputation management must embrace keen awareness as a central goal. Attention to details distinguishes the great from the good. To ensure delivery of best services, reputation management consultancies develop strategic interest in public perceptions of their clients, particularly through the aggressive monitoring of new developments. Setting up Google alerts for a brand name is a beneficial method of keeping up to date as well as assessing any negative feedback via reviews. Keeping an eye out on the most influential social media users and their inputs on specific brands is also important. Closer attention should be paid to verified Twitter users as they have the most followers consisting of existing and potential consumers. These strategies help to proactively discover problems and offer the best solutions, while also building upon perceived strengths. Communication is key for any successful relationship. Therefore, reputation management organisations make it a priority to engage their clients on regular basis. Leading agencies ensure there is a constant flow of direct communication between staff and clients. Clients are also encouraged to communicate directly with their consumer base as this instills trust, which in turn attracts goodwill for their brand image. Customers lodging complaints using social media or the organisation’s website should be replied promptly. This in turn ensures consumers feel more appreciated and catered to. This aids brand loyalty. Nimbleness is important when dealing with feedback from the public about a client’s product. For example, a reputation management agency on realising that a company has been receiving negative reviews should have flexible strategies in place to tackle the problems efficiently. Similarly, a crisis or scandal is usually avoided when both client and reputation management agencies are well poised to maintain the good image of both companies. Negative feedback is almost inevitable and it would be unrealistic to expect none. Therefore, being proactive not only means dealing with problems but also seeing to it that these problems are prevented from occurring in the first place. It is also important to note that not all negative feedback is a problem as it can serve as an opportunity to discover weaknesses and improve upon them. The use of survey questionnaires to measure consumer satisfaction and feedbacks from the target audience will help to gauge the reception of a particular product or service. Reputation management agencies also engage in sponsoring events for positive publicity, and actively promoting their client’s brands. Social media is undoubtedly one of the quickest means of communicating directly with consumers. For effective reputation management, brands are advised to have a strong social media presence. These include platforms such as Facebook, Twitter and YouTube where pertinent information and videos would be uploaded on a regular basis. This method avails the opportunity of receiving direct feedback as consumers are invited to share their opinions and ideas on the brands via the comment sections.